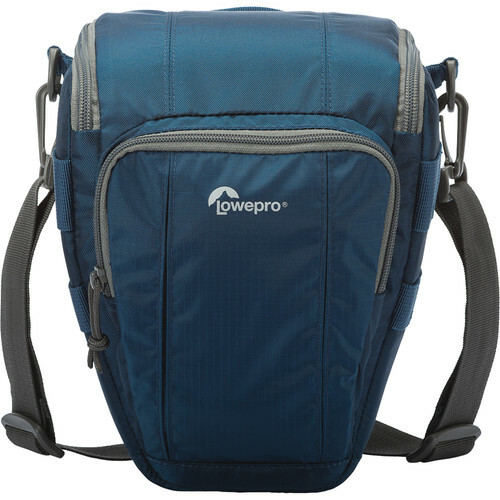 The galaxy blue Toploader Zoom 50 AW II from Lowepro holds a DSLR with an attached lens such as a 24-70mm inside the main camera compartment, which features a touch-fastened interior horizontal divider. For storing accessories, there is a front zippered pocket with an interior mesh slip pocket, as well as a zippered pocket inside the top flap. 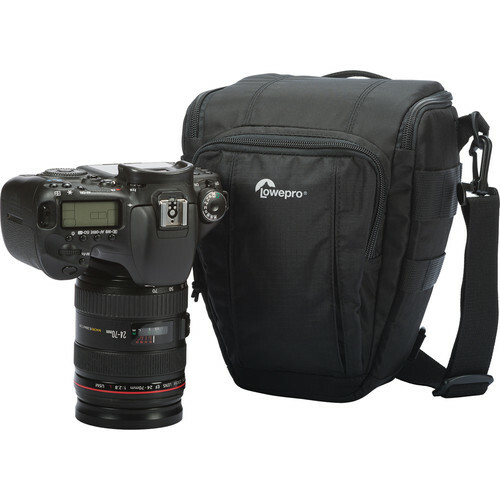 Additionally, the Toploader includes accessory attachment loops at each side, and D-rings for attaching to an optional Topload Chest Harness. Box Dimensions (LxWxH) 9.528 x 7.323 x 5.118"